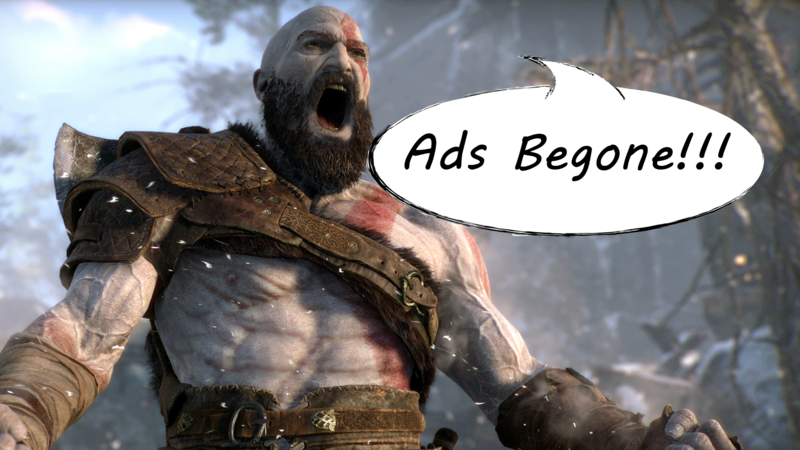 Ads are a necessary evil. They are how we get paid. And yet, more and more, our content gets consumed by people running ad blockers; clicks that are important to us as creators, but mean nothing to the bottom line of money coming into the site. That leads to advertisers getting more aggressive, finding annoying ways around the blockers, which in turn damages the reader experience. At best, you’re just a little upset about it. At worst, you stop reading the site. There’s now a way to support the work we do here while also giving you a clean ad-free experience while browsing PSLS. 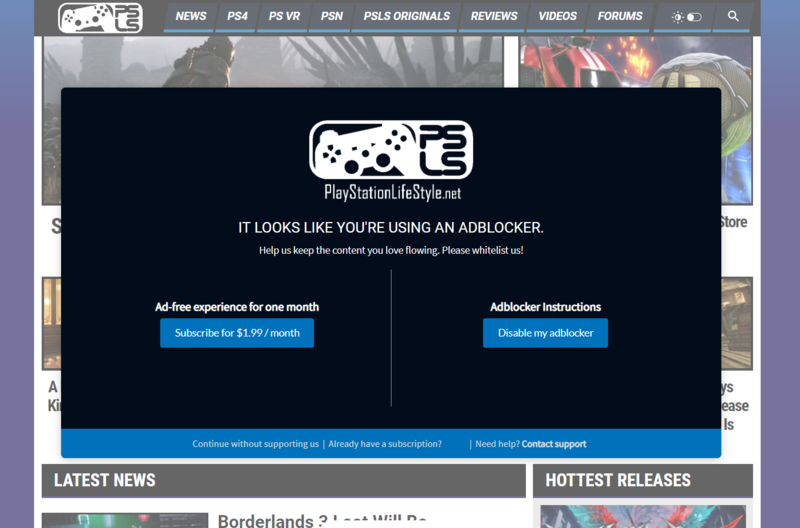 Starting today, if you run an ad blocker, you’ll see a pop up like the one below. For $1.99 a month, you can remove all of the ads on the site while also supporting us through your subscription. That’s right, no more pop ups, sidebars, site skins, or worst of all, those screen takeovers that completely cover the site. You’ll find loading time dramatically improved without those pesky ads, and best of all it’s a win/win. You support us and ensure that we can not only keep doing what we do, but continue to grow and improve without worrying excessively about things like page views and who’s using an ad blocker. We can get back to doing what it is we do best: writing and creating content for you. While the option will only appear as a pop up right now for those using ad blockers, we’ll soon have a direct link that you can click on to subscribe to the ad-free PSLS. We’ll make sure to highlight that option when it becomes available. The most important thing for us is that this is completely optional. No content on PSLS will ever be locked behind a paywall. Let me reiterate that. No content on PSLS will ever be locked behind a paywall. We’re not going to restrict users that want to continue using an ad blocker. And if viewing ads is how you want to continue to support us, I guess you can do that too. But we felt like it was a huge opportunity to offer our readers the chance to both support our work and to get some benefits out of it as well. Consider the subscription a small tip jar for us, and the removal of the ads as our way of saying thank you. Consider this the PSLS BattlePass (okay, it’s not really called that, but wouldn’t it be cool if it were?). We’re remaining free-to-play-read. We aren’t going to have tiered or preferential treatment for our subscribers. We still want to create content, break news, and share our voice with everyone who reads the site. We’re simply offering an alternate way to support us that’s a little more direct and will hopefully give you a better experience on PlayStation LifeStyle without feeling the sudden need to buy a Jeep. Please let us know what you think of this new ad-free support!